Retired but she’s still at it. 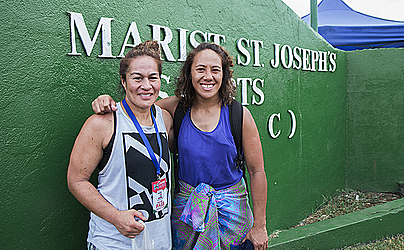 Seiuli Fiao’o Faamausili returns to Samoa – her homeland - showcasing what she’s good at in the 7s code in front of the many spectators at the A.C.P Marist Stadium, Lotopa. The first Samoan to Captain the Black Ferns that shook the Kingspan Stadium at Belfast, Ireland when they won the World Cup in 2017, played for the first time on home ground in the two-day Vailima Pure Marist International Sevens Tournament. “I wasn’t going to play much on this tournament, but then I thought to myself when will I ever have the opportunity to play on Samoa’s soil again, so this is my first contact since I stopped playing last year,” Seiuli said. “It’s awesome to be playing here because we had dirt, patched grasses, some areas missing grass and we were also swimming, so it’s great, it’s like we’re playing four seasons all at once. The 37-year-old hails from the villages of Faleula, Aleisa and Fogapoa Savai’i. She says the driving force behind her rugby career is her dad and family. 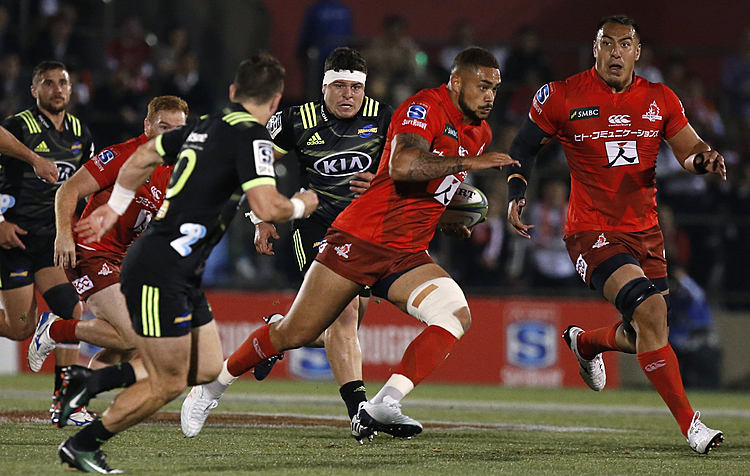 “My dad is my driving force behind my rugby career. He passed away when I made the Black Ferns, so he passed away four months before I was announce in the Black Ferns team and so I guess , being a sick man, he was always turning up to my games so I think if I can live his dream that is what drives me,” she shared. “The fact that my brothers and sisters gave up their schooling for the younger ones, I come from a family of eight, so they gave up their schooling to go to New Zealand work and bring us to New Zealand and my dad and mum. Seiuli explained that embracing each player’s culture is the key of their team’s success in the World Cup. “When everyone asks about the World Cup, but we know that in our team, our culture is really strong, not just the Pacific culture, but culture as a team is really strong and a lot of it is based on what we learn at home. “What we learn under the umbrella of the family and I know that as my strong background as a Samoan and you know the Pacific women who are in the team, you know the trust, the respect for elders all the honesty and all of that are part of the culture that makes our team. 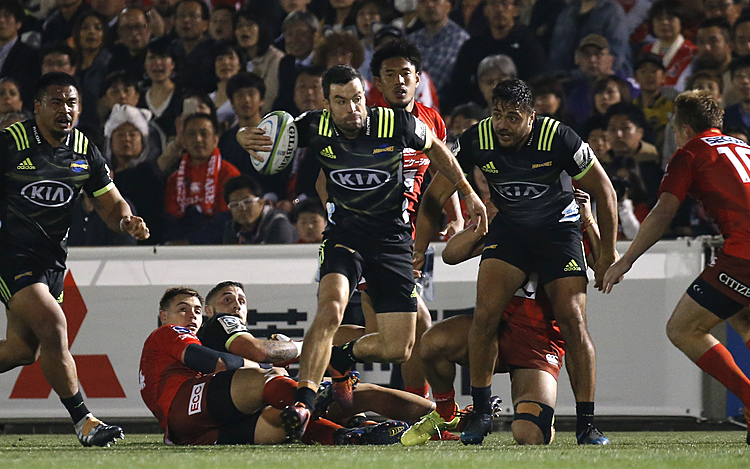 “I know when we went to the World Cup we do a lot of praying in our team and you might have seen it in the World Cup final, the girls were singing a Samoan song. She added: “But now coming to this team, this is the team that I’ve been playing for ever since I started because I can’t play alongside this girls in the Samoan team, so this is my way of playing alongside them and this is my way of giving back to Samoa because I was born in Samoa and I moved to New Zealand when I was five. “I was snatched early by the New Zealand Rugby Union, so it wasn’t really an avenue for playing for Samoa because I was picked up early through New Zealand so this Auckland Samoa is an opportunity of representing Samoa. Seiuli said the team brought with them gifts as a token of their appreciation to Samoa. “We have a lot of respect for Samoa that is why we came here with gifts for the girls because we know how hard it is for the women to play rugby and how it is for girls to play with nothing, and so we’ve come with gifts and as long as we can leave a memory behind to inspire the young girls to play, even memories with parents leading their daughters play. She has an aim, and that is to give her 100 percent every time she takes the field. For Seiuli, family has a special place in her life and she symbolizes this with the tattoos she has on her back. “My tattoos mean family. So it has a kind of New Zealand design, so the two on the sides are Samoan designs, the two hibiscus are my parents, frangipanis are my siblings, I’ve got seven siblings and it’s pretty much that. She has an advice for aspiring rugby women out there. “Rugby is designed for everybody so you don’t have to be the skinny girl that has to be fast and running, you just have to be active, you just need a ball, you need to run forward and tackle. It teaches you a lot of heart, when times a tough, it picks you up. “And my motto is, you never lose, it’s either you win or you learn, so when you fail, you learn and you go again. If you don’t, you go again and if you don’t, you get another path of learning and you learn again so you go choose something else to do.